More than 50 people are dead after multiple bombings at churches and hotels in Sri Lanka on Easter Sunday. Sorry white males, you’ve done it again. According to new research by New York University’s AI Now Institute, we may be in for a future of racist, mansplaining, sexist AIs which are “at risk of replicating or perpetuating historical biases and power imbalances,” reports The Guardian. As the report notes, over 80% of AI professors are men, while ‘progressive’ Silicon Valley’s super-sexism isn’t helping either. Facebook’s AI research team, for example, is only 15% women. Microsoft’s stands at 10%. Nevermind that women comprise just 18% of computer science majors – which is the exact percentage of authors presenting their work at leading AI conferences. Why is this happening? 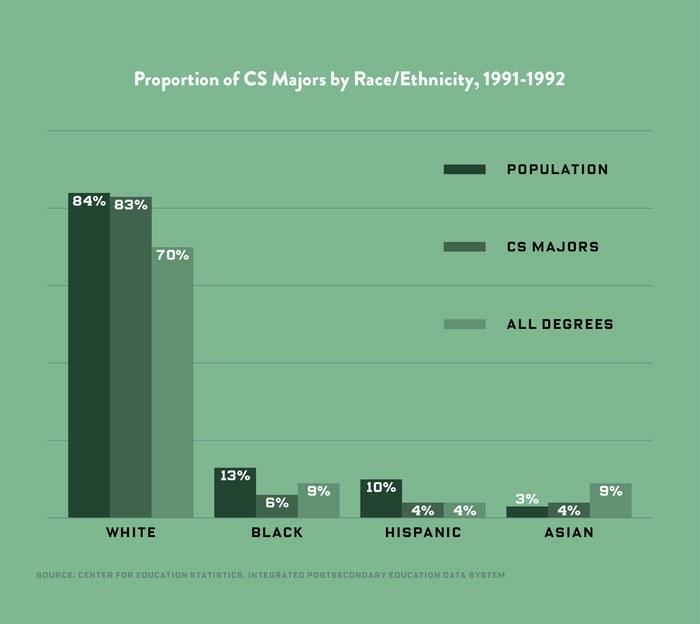 According to the report, it’s not the fact that far fewer women are entering computer science despite nearly 20 years of encouraging women to pursue STEM (Science, Technology, Engineering and Mathematics) majors. It’s issues with “the pipeline” – i.e. the industry (dominated by liberals) is racist and sexist. What recommendations does NYU have to save the world from mansplaining AI that don’t respect “historical imbalances”? 1. Publish compensation levels, including bonuses and equity, across all roles and job categories, broken down by race and gender. 2. End pay and opportunity inequality, and set pay and benefit equity goals that include contract workers, temps, and vendors. 3. Publish harassment and discrimination transparency reports, including the number of claims over time, the types of claims submitted, and actions taken. 4. Change hiring practices to maximize diversity: include targeted recruitment beyond elite universities, ensure more equitable focus on under-represented groups, and create more pathways for contractors, temps, and vendors to become full-time employees. 5. Commit to transparency around hiring practices, especially regarding how candidates are leveled, compensated, and promoted. 6. Increase the number of people of color, women and other under-represented groups at senior leadership levels of AI companies across all departments. 7. Ensure executive incentive structures are tied to increases in hiring and retention of underrepresented groups. Labour’s deputy leader says the move would counter a challenge from Nigel Farage’s new Brexit Party. “Do not bury hope!” Francis exclaimed, after noting that when things go badly, “we lose heart and come to believe that death is stronger than life”. Australia’s World Cup hopes continue to be boosted with the improving IPL form of Steve Smith, who scored an unbeaten 59 in a win for the Rajasthan Royals. The PM uses her Easter message to say everyone has a right to “practise their faith in peace”. Ben Simmons wore a jacket emblazoned with “lover” in his post game press conference but there is little love shared between the Philadelphia 76ers and the Brooklyn Nets. Ukraine’s rival presidential candidates hold a long-awaited head-to-head televised debate. The latest in Justin Mikulka’s excellent series on fracking follies: This would be amusing, but for the environmental consequences and the money wasted. The contractor who will be selected to demolish the Aetas Hotel and Residence in Bangkok’s Pathumwan district must knock down the entire structures, not just the high-level floors, said a senior official at City Hall. Richard Arow – the talented soccer player and “lovely guy” shot in a drive-by shooting outside a Prahran nightclub – has died in hospital.